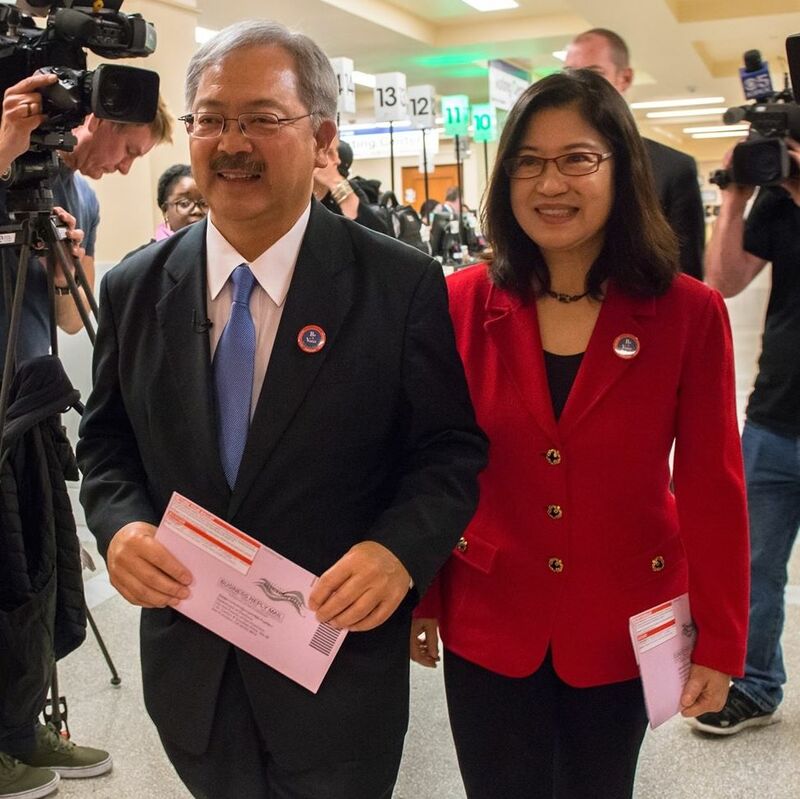 Mayor Ed Lee and his wife Anita. SAN FRANCISCO — Ed Lee, San Francisco’s first Asian American mayor, died at 1:11 a.m. on Tuesday at Zuckerberg San Francisco General Hospital. He was 65. According to KRON4, the mayor arrived at the hospital in critical condition shortly after 10 p.m. Monday and doctors tried lifesaving measures for hours. Family, friends and colleagues were at his side when he passed, and the medical examiner will determine the cause of death. CBS SF Bay Area quoted former Mayor Willie Brown, a close friend of Lee, as saying that the mayor was shopping at the Safeway in Diamond Heights when he apparently suffered a heart attack and was taken away by ambulance. Brianna is an associate editor at Southern California Public Radio (KPCC) in Pasadena. Board of Supervisors President London Breed was immediately named acting mayor. The board will vote later on an interim mayor. She ordered flags to be a half-staff for the next 30 days. Lee was appointed as mayor by the Board of Supervisors in January 2011 after Mayor Gavin Newsom resigned to become lieutenant governor. 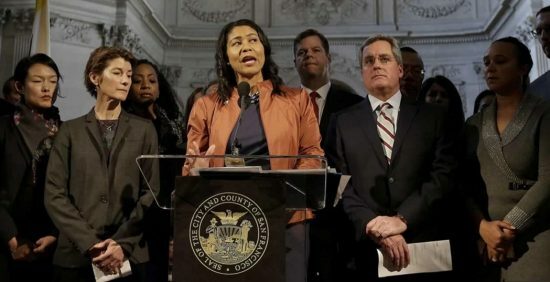 Although he initially said he would only serve in an interim capacity, he was persuaded by his friends and supporters, including Brown and the late Chinatown power broker Rose Pak, to run for the office and was elected that November, then re-elected in 2015. His term was to expire in 2019. The son of Chinese immigrants and a native of Seattle, Lee was the first in his family to attend college. He graduated from Bowdoin College in 1974 and from Boalt Hall School of Law at UC Berkeley in 1978. Prior to becoming a civil servant, he worked as a housing activist and civil right attorney with the Asian Law Caucus. He joined city government in 1989 as an investigator under the whistleblower ordinance, then served as deputy of human relations, director of public works, city administrator, and a member of the Board of Supervisors. His election as mayor was a milestone for Asian Americans, who make up one-third of the city’s population. He is credited with overseeing a technology-driven economic boom but was criticized for the sky-high housing prices that resulted. Lee was dedicated to reducing the city’s greenhouse gas emissions, lowering rents and evictions, ending chronic veterans’ homelessness, stopping laws that discriminate against the LGBT community, and investing in infrastructure, parks and schools. Sen. Dianne Feinstein (D-Calif.), a former mayor of San Francisco, said in a statement, “Early this morning I learned of Ed Lee’s death. It’s a very sad day for San Francisco and all of us who knew Ed. My thoughts turn to all of Ed’s family, especially Anita, Brianna and Tania. I know what this is like and wish I could give Anita a hug and express my sorrow. Many other colleagues and associates issued statements.